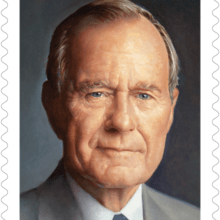 Beginning today the June 12 Commemorative Forever Stamp Honoring former President George H.W. Bush Available for Preordering. The USPS made the announcement today. Greetings from WordCamp Raleigh 2019. Today’s blog post #1501 I’m writing at the end of Day one of the two day event. It is off to a great start and more details to follow in a future blog post! “WASHINGTON — The U.S. 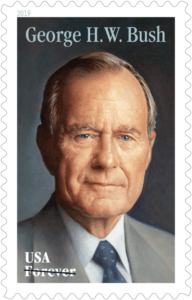 Postal Service today announced it will issue a commemorative Forever stamp honoring former President George H.W. Bush, who died Nov. 30, 2018, at the age of 94.